The refreshing master retreat features a cozy seating area, which opens out onto the rear patio. 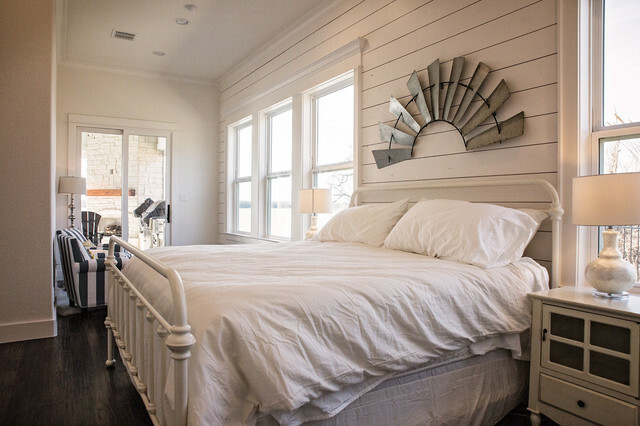 The white shiplap exterior wall is the perfect backdrop for the antique windmill tines our client found for over the bed. A sliding barn door opens to the master bath area.